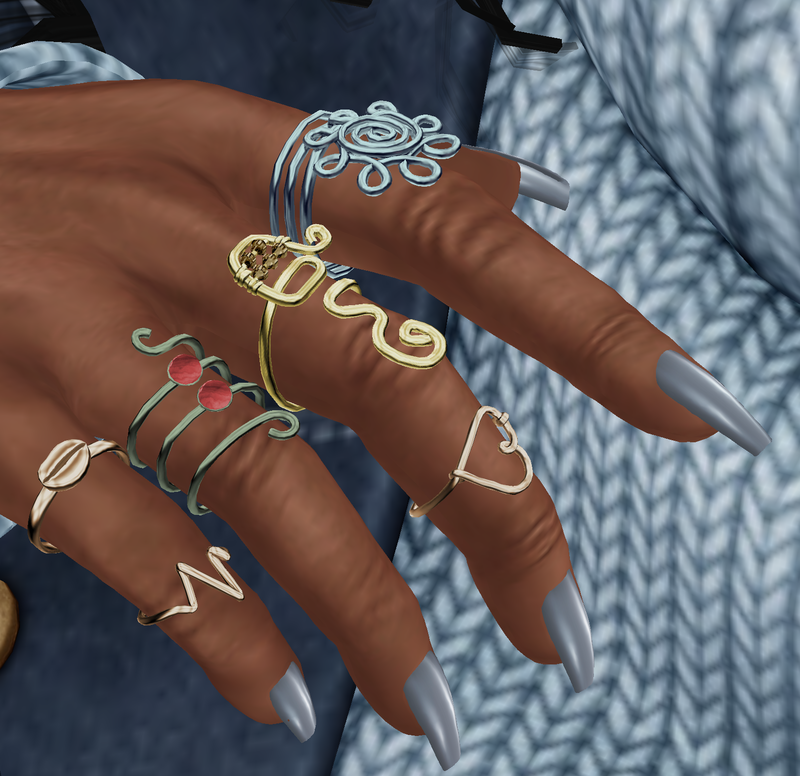 Featuring Kosmetik Charm Eyes at Twe12ve & Slipper Originals Morning Josie Bento Rings at The Underdog Event. "My outsides look cool, my insides are blue. Every time I think I'm through, it's because of you. I've tried different ways but it's all the same. At the end of the day I have myself to blame, I'm just trippin'. You can buy your hair if it won't grow and you can fix your nose if he says so. find out who am I too. Be in the position to make me feel so damn unpretty. I'll make you feel unpretty too." ■ Eyes - Kosmetik by Merredyth Resident - New! Eyes Charm @ Twe12ve, open until January 31. *Catwa/Omega Appliers and mesh eyes ‖‖ Blue/Brown/Green/Variety color hud packs of 5 shades ‖‖ 199L per color and 599L for Fatpack ‖‖ Flickr Charm Brown Ad Picture. ■ Rings - Slipper Originals by EllePolygon - New! Morning Josie Bento Rings @ The Underdog Event, open until February 16. 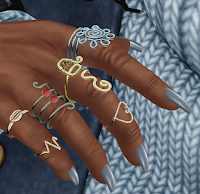 *Left & Right bento rings for Maitreya/Slink Hands for 299L ‖‖ Color hud with 8 metal/stone/crystal options, each ring can be turned on/off plus color changed individually ‖‖ Material Shine option + Adjustable ‖‖ Flickr Af picture. 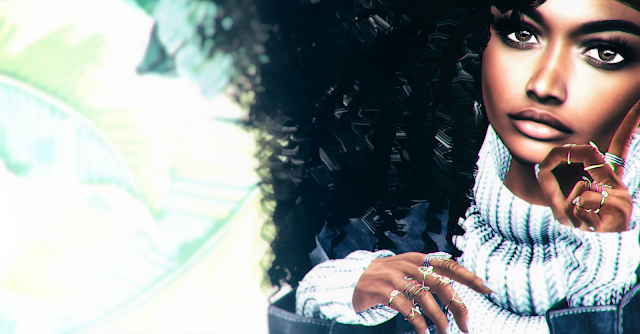 ■ Head - Catwa by Catwa Clip - Catya. ■ Skin - Colivati Beauty by Colivati - New! Desaree. ■ Hair - Letituier by Nayomi Gartner - New! Beija @ The Gacha Guardians. ■ Sweater & Jacket - Fame Femme by Clarysa Damiano - Leather jacket & Sweater. ■ Pose - BellePoses by Antonia Millar - Mi 1. ■ Backdrop - MONS by Ekilem - Hello World Photoshoot Decor.